I love cake batter. 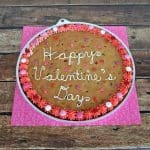 It’s such a delicious flavor that is great in so many different baked goods. Years ago I made these cake batter bites and they were super popular and so incredibly easy to make. I find that most cake batter desserts have sprinkles in them too which I think is funny because most cakes do not have sprinkles in them. 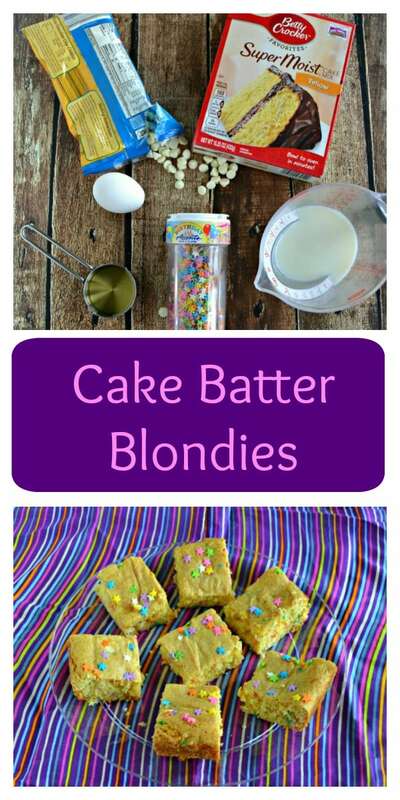 When I was looking for a fun and easy dessert for my students end of the year reward party I came across cake batter blondies. I thought they sounded interesting and I liked that they were baked with a cake mix. 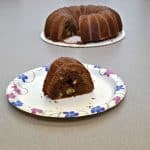 I’m always looking for easy desserts to make for my students. The recipe only has a handful of ingredients and it says that the less liquid used in the recipe the better. For this reason I expected the bars to be thin. I was surprised when I pulled them out of the oven and they really rose. I fully expected them to taste like every other Funfetti type bars but they didn’t! They really tasted like cake batter. 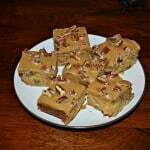 I gave a piece to my husband and his response was that they were the best blondies I’d ever made! Since I’ve made a lot of blondies in my time this was a big compliment. They were really good. These bars did not have a cake like texture; instead it was more of a chewy cookie. 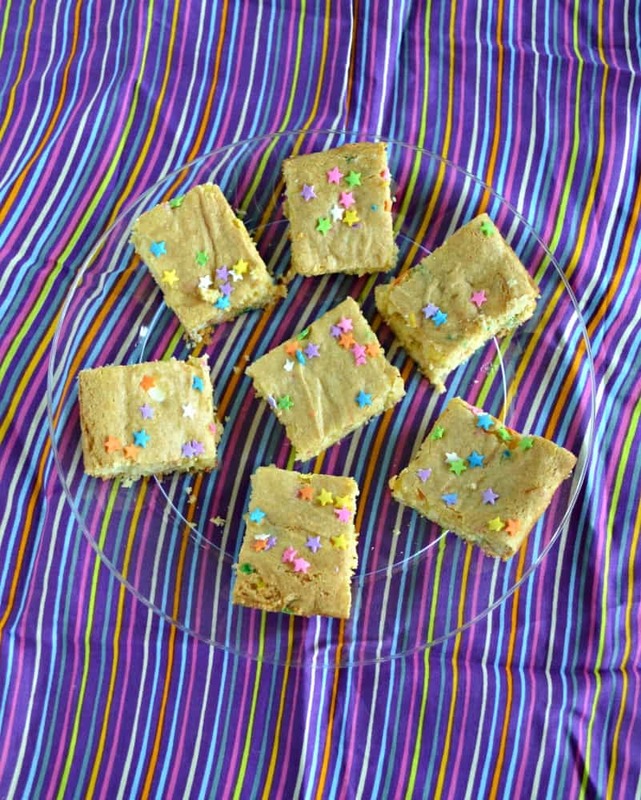 They tasted just like cake batter and the sprinkles really brightened up the bars. 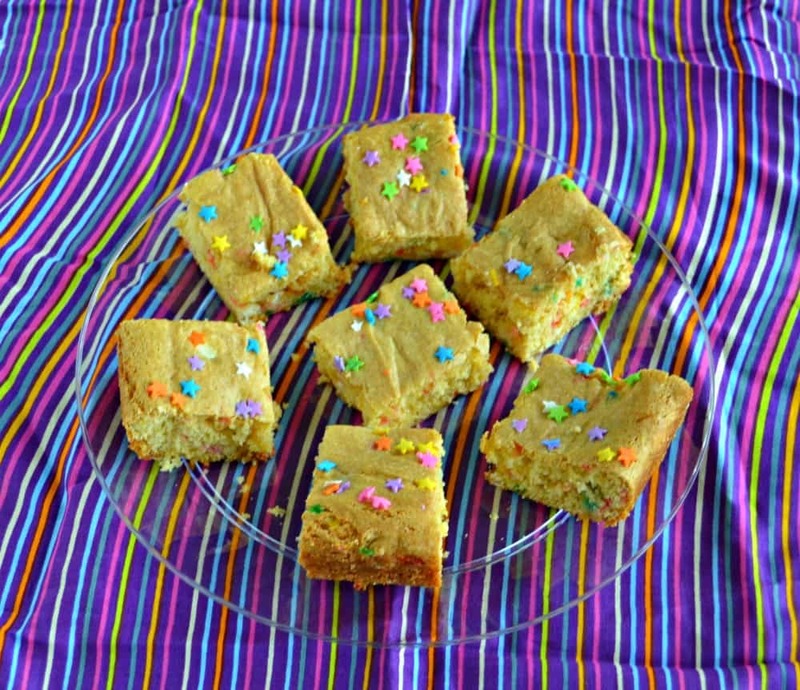 If you love cake batter you'll love these dense cake batter flavored blondies with fun sprinkles in the mix! Preheat the oven to 350 degrees. Spray an 11 x 7 baking pan with cooking spray. 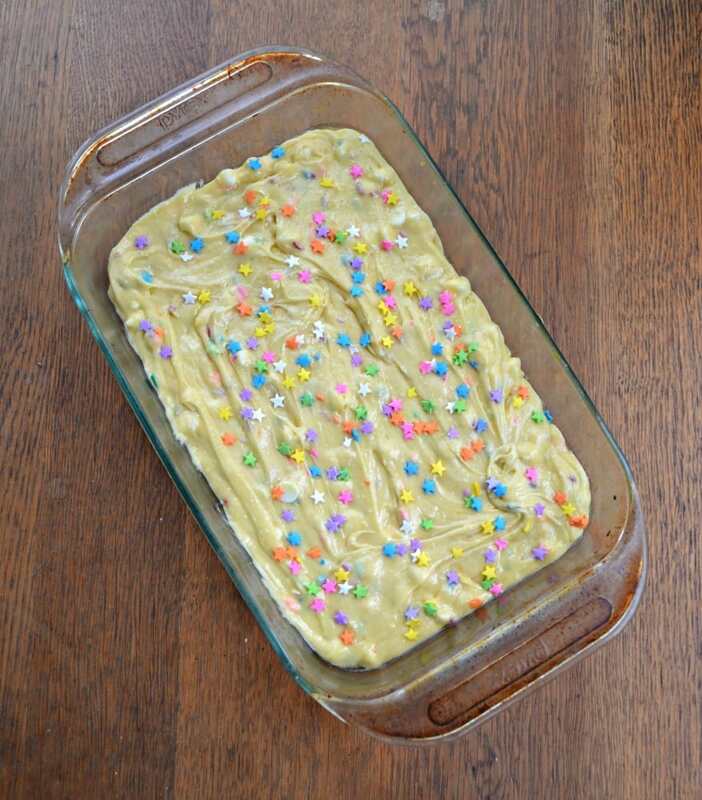 In a large bowl combine the cake mix, oil, egg, and milk. Mix well until combined. Stir in the sprinkles and the chocolate chips. Pour the mixture into the prepared pan and sprinkled a few extra sprinkles on top. Bake for 25-30 minutes or until the edges are beginning to brown. Remove from oven and cool completely on a wire rack. 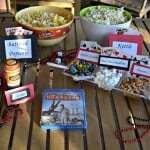 Cut into 15 squares and enjoy!